The Children’s Department has a Library of Things! 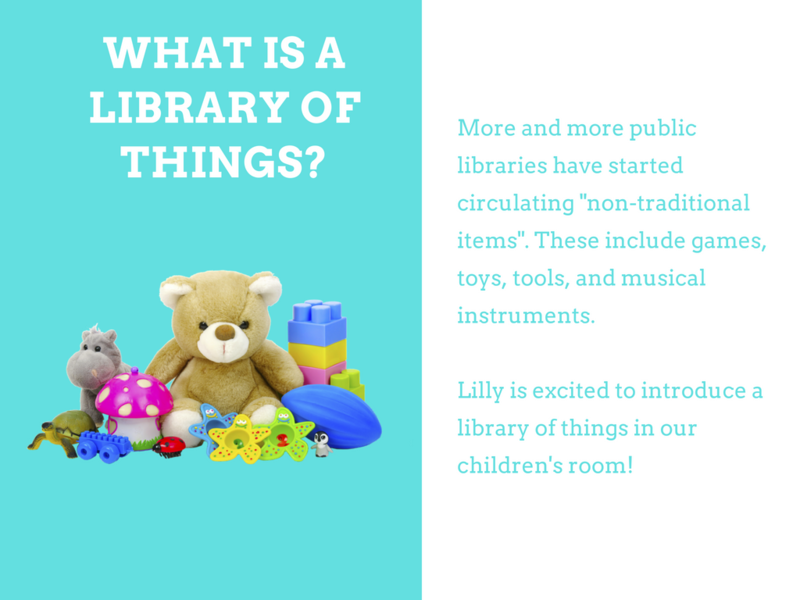 More and more public libraries have started circulating “nontraditional items”. 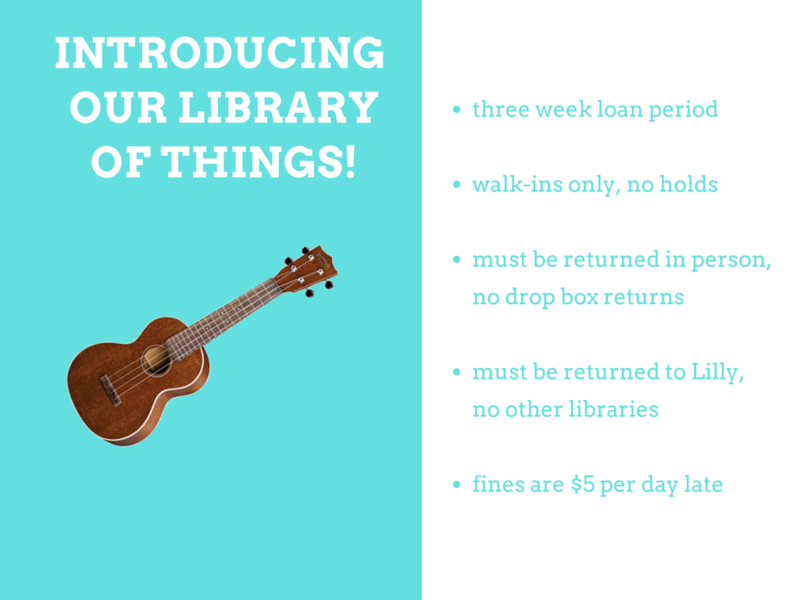 We have ukuleles, board games, STEM toys, and tablets circulating. More items are being added regularly! These items have different circulation policies, as they tend to be more fragile and expensive than items like books.